The Israeli military said a "terrorist squad" fired at troops and one soldier was severely injured and later died. 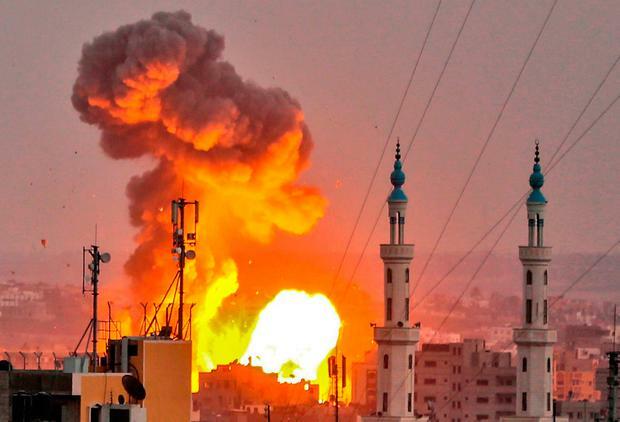 After the Palestinian fire, Israel's military said it struck 15 Hamas positions including weapon warehouses, command and control centres and training facilities. It said "fighter jets commenced a wide-scale attack against Hamas military targets throughout the Gaza Strip" and added that "Hamas chose to escalate the security situation and will bear the consequences for its actions".